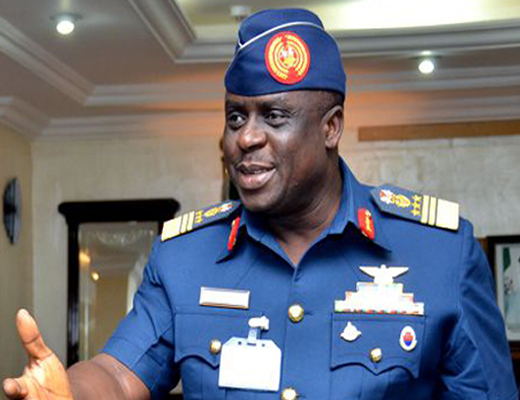 Abuja One of the Nigerian Air Force (NAF) chiefs implicated in the $2.1 billion arms deal and put under house arrest at Niger Barracks, Abuja has returned N66 million of the N90 million, allegedly traced to him, to the Economic and Financial Crimes Commission (EFCC). Consequently, the officer, a Principal Staff Officer at NAF Headquarters, was released from detention and asked to go and look for the balance of the money. An EFCC source, however, said this did not mean he is completely exonerated. Sunday Vanguard gathered that the other officers being detained by the NAF High Command, on behalf of the EFCC, were not allowed the privileged because they had refused to cooperate fully with the EFCC interrogation team even though some had returned exotic cars and other valuables. It was also gathered that an Air Commodore, said to have benefitted from the arms deal and has properties in Dubai, Kaduna and Abuja, has been arrested and is in detention. One of the detained Air Vice Marshals (AVMs) is said to be the leader of the team that went to buy aircraft with incomplete parts and also inflated the price from $6million to over $30million. NAF High Command had, on Thursday, stepped up its anti-corruption war with the removal of some officers including Air Officers Commanding and Principal Staff officers manipulated in the arms deal and appointed new Air Officers Commanding. Meanwhile, the wife of a former Chief of the Air Staff, Mrs. Lara Amosu, detained overnight by the EFCC, has been freed. Sunday Vanguard gathered that the wife was detained following certain accounts related to her husband, being investigated in connection with the $2.1 billion arms cash, allegedly traced to her. Although the exact figure and details of the accounts were not made public, EFCC was said to have interrogated her for hours last week in Lagos. But a source close to the investigation confirmed the woman had been released on bail.